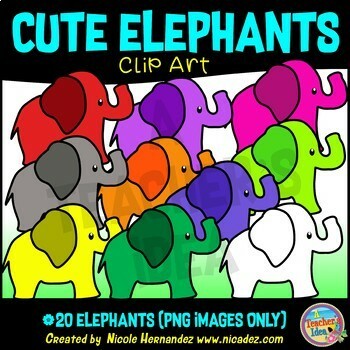 This is a set of 30 colorful elephant clip art images for use in your creative teaching resources. 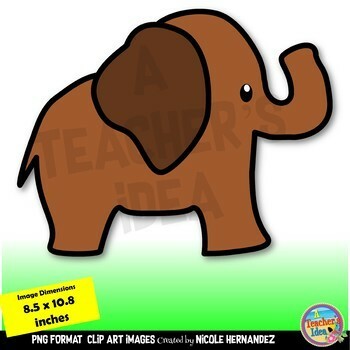 They can be used to create worksheets, flashcards, posters, anchor charts, bulletin boards and countless other teaching resources. Plus, the transparent background makes them easy to drag and drop them into your project’s layout.